Established in 1992, The Museum of Monterey also known as The Monterey History and Maritime Museum which began in 1970, and found a permanent home at The Stanton Center, 5 Custom House Plaza. Located in the basement of the Monterey Museum of Art, and principally housed the collection of Allen Knight, who briefly worked as a sailor in 1916 and collected artifacts and memorabilia related to maritime activities throughout his life. The Museum closed in 2010 for re-structuring. Highlights include a ship-in-a-bottle collection and the historic Fresnel lens from Point Sur’s lighthouse. Formerly the Monterey Maritime Museum, the Museum of Monterey (MoM) has been reinvented by the Monterey History & Art Association (MHAA) for a new era. MoM will continue MHHA’s mission to identify and preserve those objects that tell the story of Monterey’s historic role in the birth and development of the wildly innovative state of California. It includes permanent exhibits on the USS Macon disaster off Point Sur, the Ohlone and Rumsien tribes that once lived in the area, the Spanish exploration of the California coast and the Monterey sardine industry. And further to provide an environment and support for those individuals and organizations whose new stories demonstrate and celebrate that bold creative spirit. The cost to visit is $5. $3 for seniors, students and military. Under 12 are free. 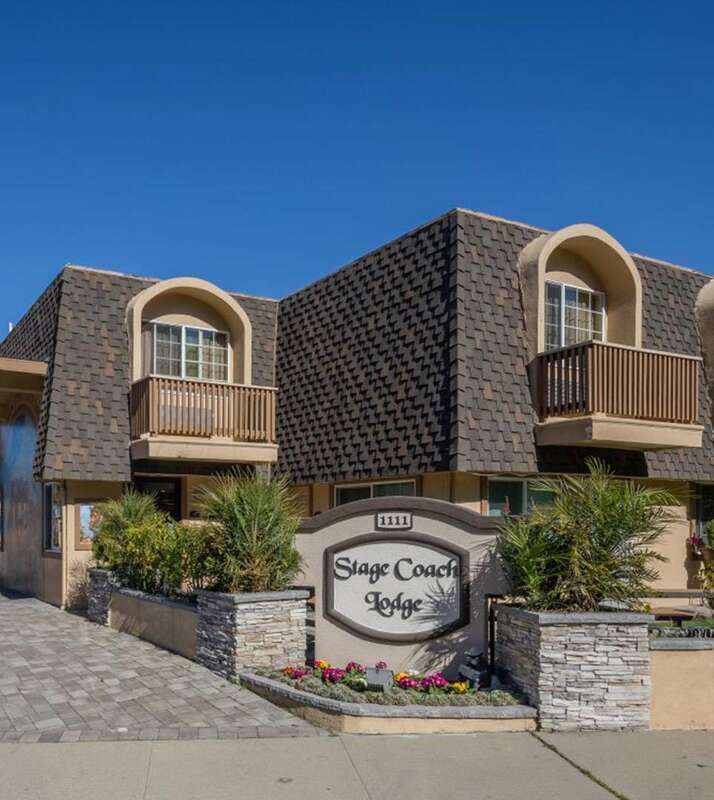 Make your trip a memorable one with your stay at our Monterey Stage Coach Lodge. Check out the available guest room types and book your stay today.